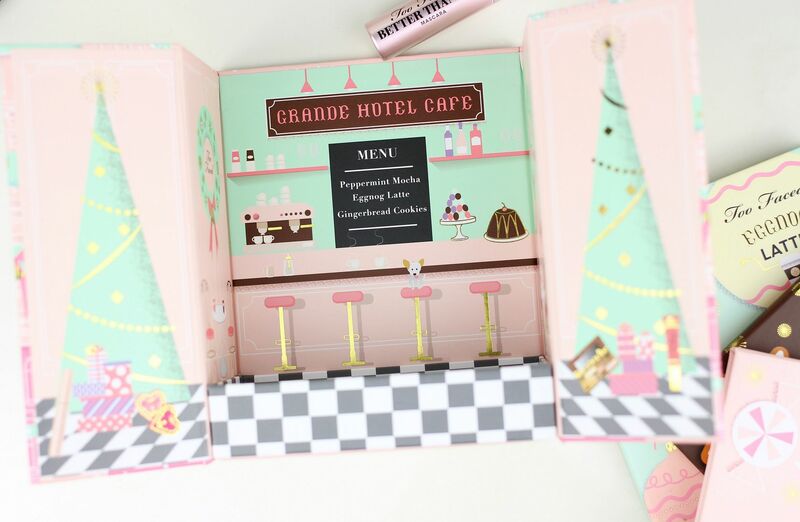 … You had better make it this Grand Hotel Cafe from Too Faced! 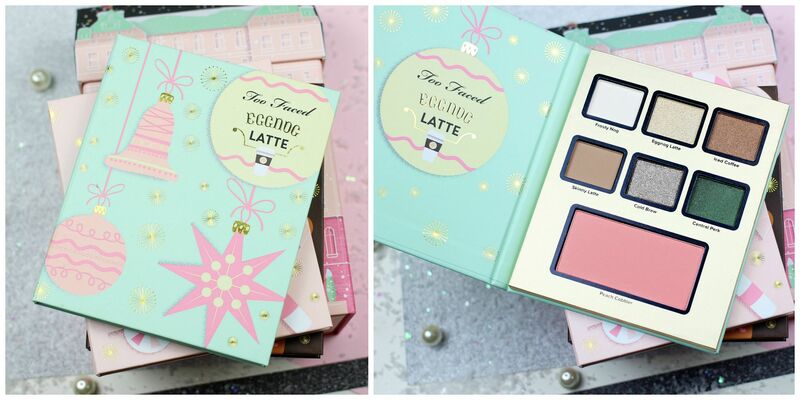 I am a fan of Too Faced, because they just do cute makeup very very well. Sometimes I find it a bit too sickly sweet, but sometimes it’s perfect and I fall in love. 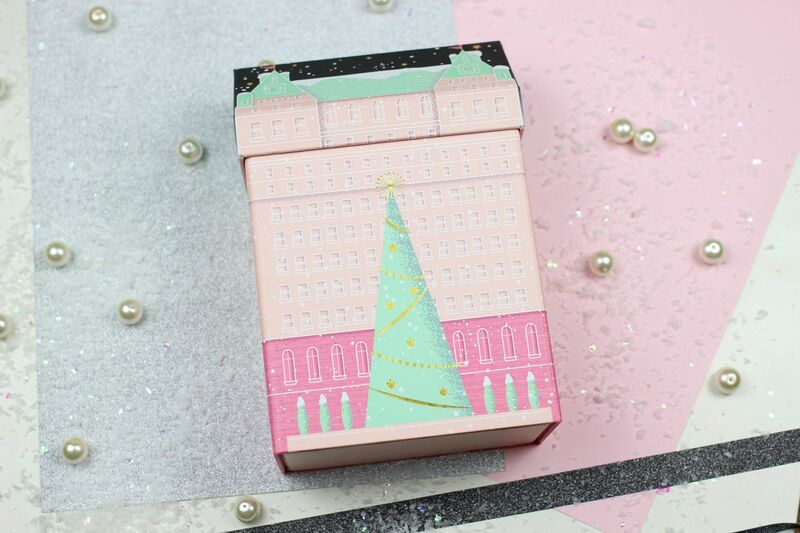 I fell in love this time, when I saw it in Debenhams…Three sweet little palettes housed inside a building. I’m normally so ruthless with packaging, but the little cardboard house is too adorable to throw away, just yet. 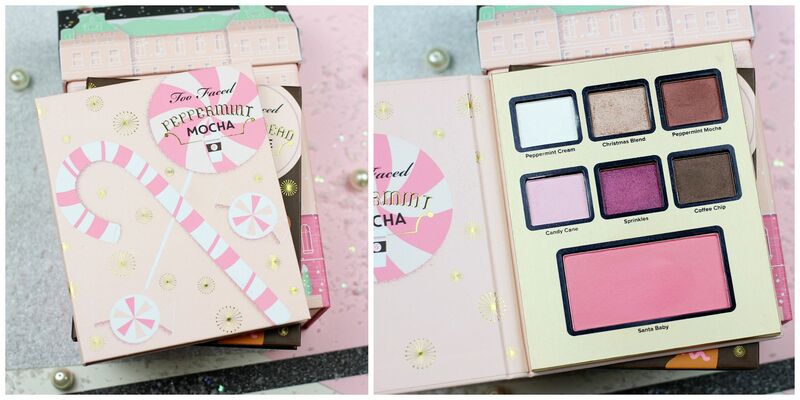 The Peppermint Mocha is my favourite, because every shade is nicely done. It has a good champagne, a nice plummy pink cranberry shade and the blush is good. This one is a winner. I just love warm-toned pinky tones. 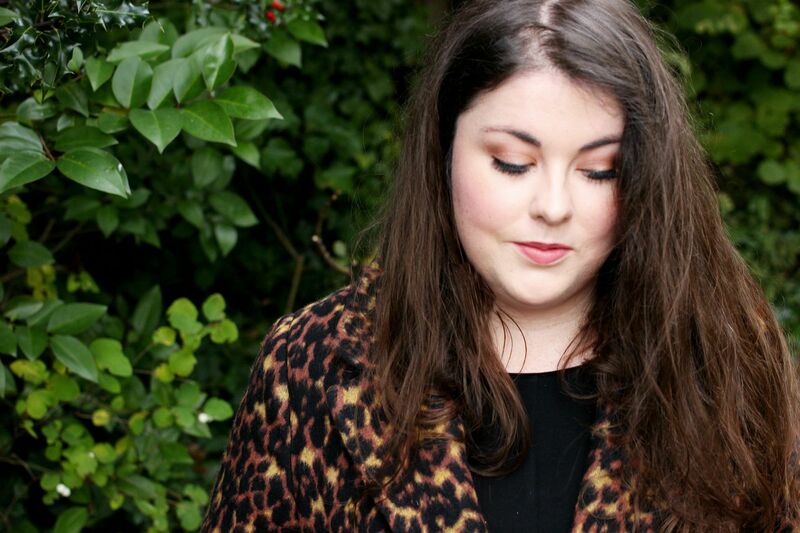 I’m wearing this palette in the photo below! 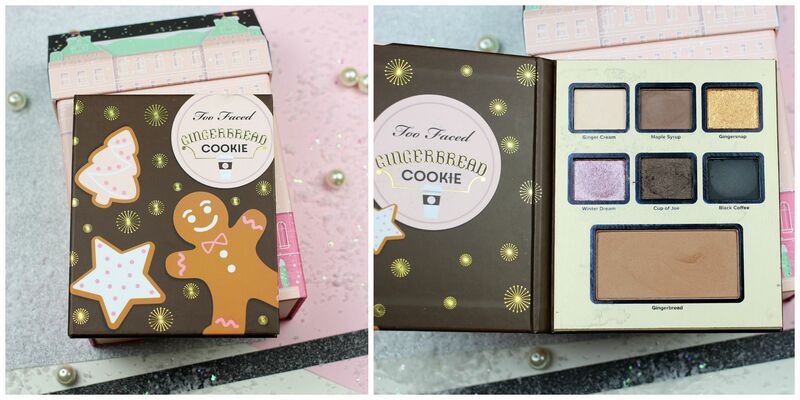 The Gingerbread Cookie is all kinds of gorgeous – let’s just look at that gorgeous foiled copper shade. It’s beautifully pigmented. I like the matte brown as well, but the matte black is one of the worst I’ve ever tried – waste of space. The copper shade makes up for it though! The Eggnog Latte has some really nice neutrals – the sparkly silver shade is disappointing, but the green is so nice it’s persuading me to experiment with colour. Love a peachy blush, always.